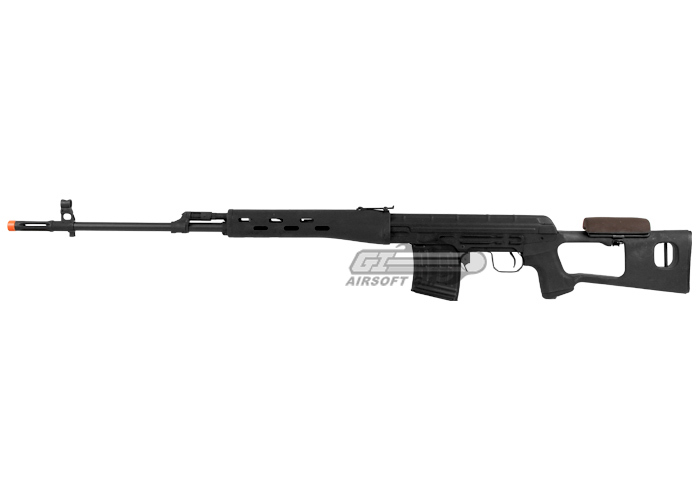 The CM057A from Cyma is an excellent modern take on the Dragunov and is sure to please any player. 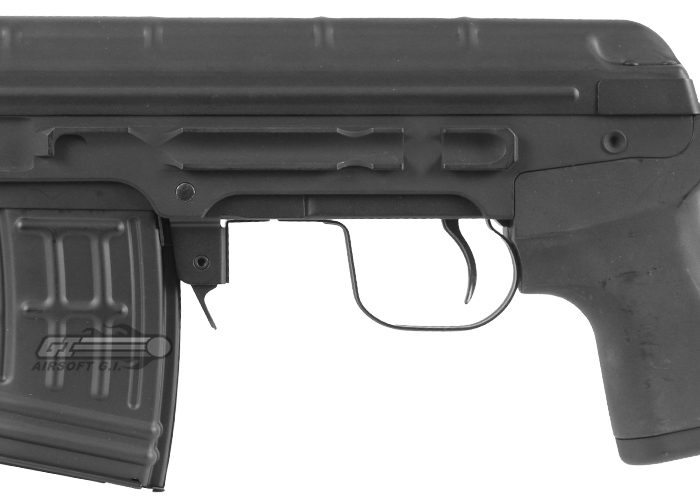 Externally, the gun features a full metal body with black polymer furniture. 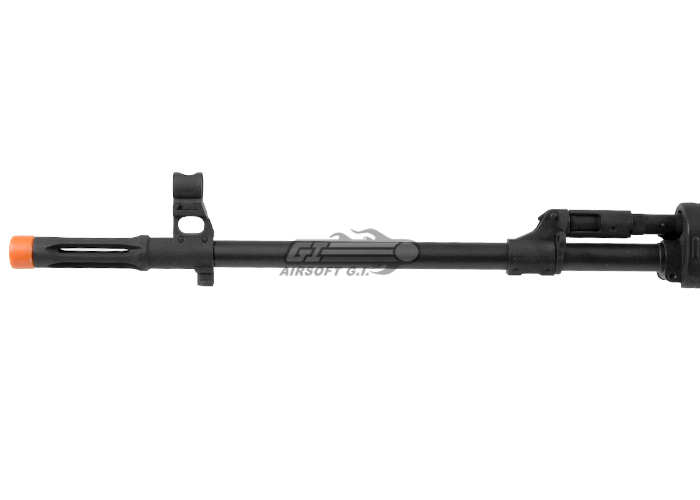 This black polymer furniture and metal body make the gun look extremely sleek and aggressive, the construction of these parts are also top notch. 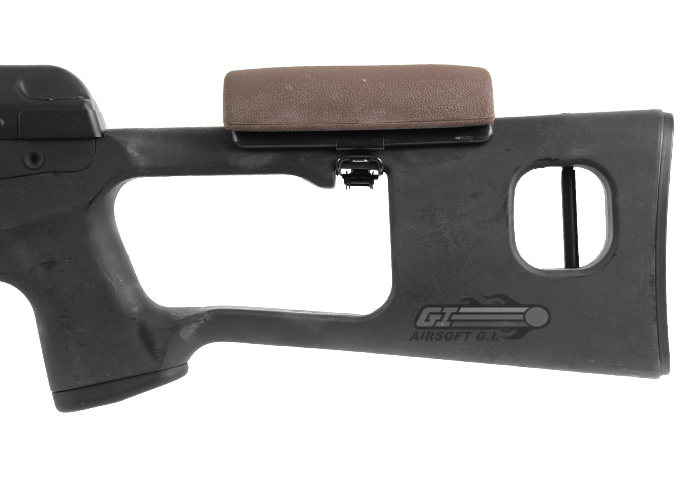 The stock features a cheek riser to allow the user to maintain a proper cheek weld when using a Russian or American style scope. The iron sights featured on this gun resemble that of an AK variant and allow the user to adjust them for both windage and elevation. 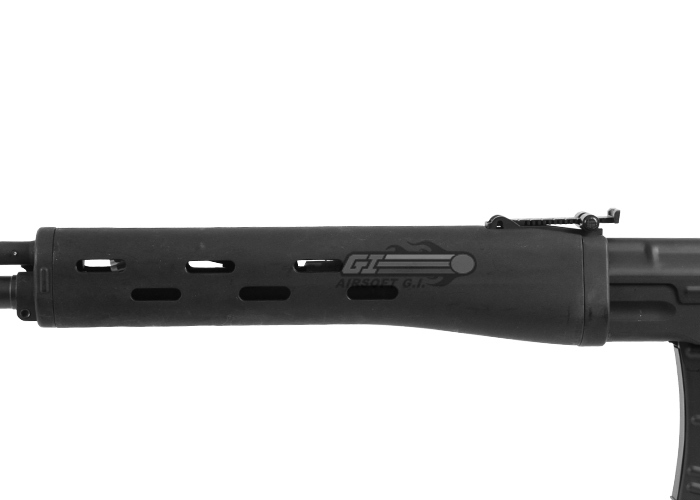 The gun features a 610mm outer barrel which allows for a wide variety of barrels to be installed so you can really reach out and touch somebody. The internals of this AEG resemble that of a version 3 gearbox with a few changes. The gears are made from high quality steel and the piston and motor are also made from very high quality materials. 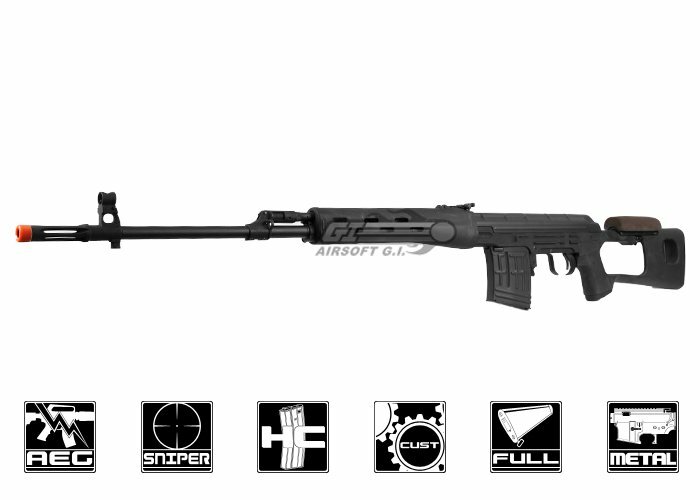 With a quick shim and lube job the CM057A Full Metal AK Dragunov Sniper Rifle is definitely a force to be reckoned with. decent gun. minor issues. 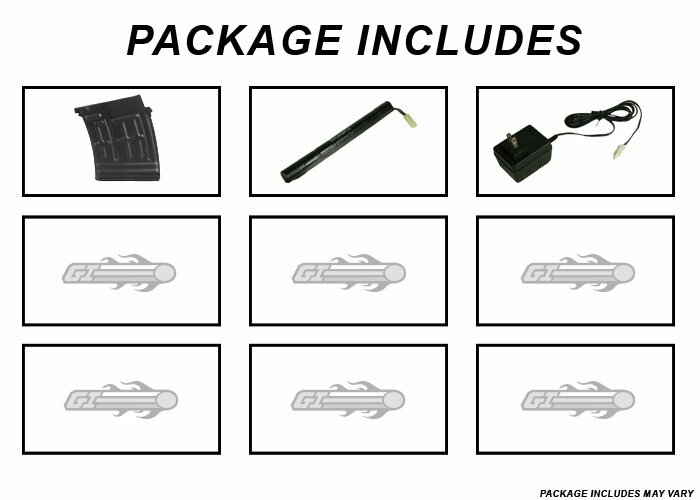 upon receiving the gun, the battery was not soldered correctly. the red wire came off the batter making it unable to charge. however i was able to easily fix this by sliding the wire back into its spot and forcing it down with electrical tape. it now works like a charm. it is one of my favorite guns i own at the moment and will be for a very long time. Does the rifle only fire semi automatic? 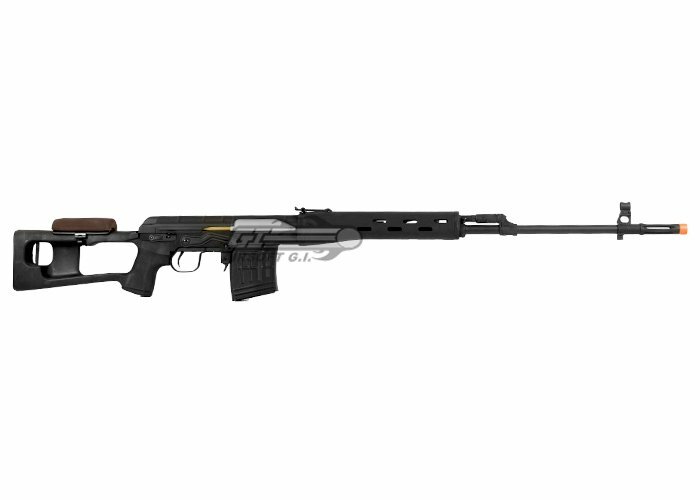 This rifle is designed to fire sem-auto only. You would need an SVD rail mount.